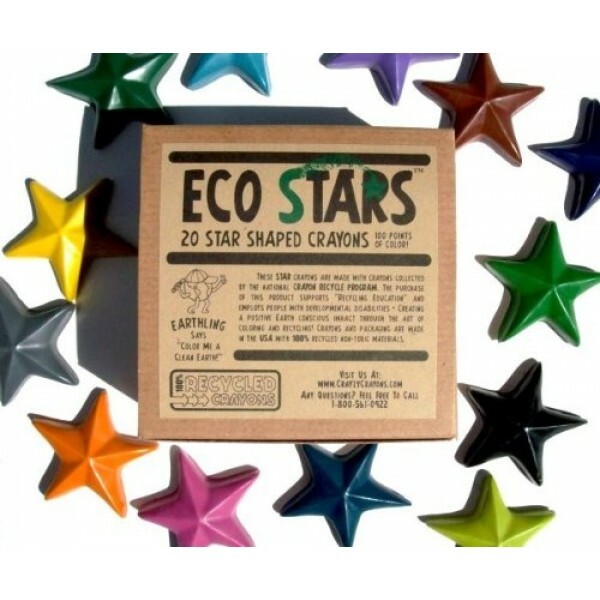 Go "green" with all the colors in the rainbow with this set of 20 star shaped, solid color crayons in a box! 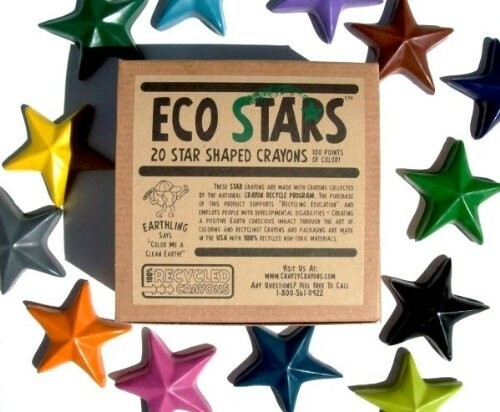 These star crayons are made with crayons collected by the National Crayon Recycle Program. Colors include black, brown, blue, purple, green, orange, red, yellow pink, blue-green, and red-violet. Both crayons and packaging are made in the USA with 100% recycled, non-toxic materials. The purchase of this product also supports "Recycling Education" and employs people with developmental disabilities, creating a positive earth conscious impact through the art of coloring and recycling!